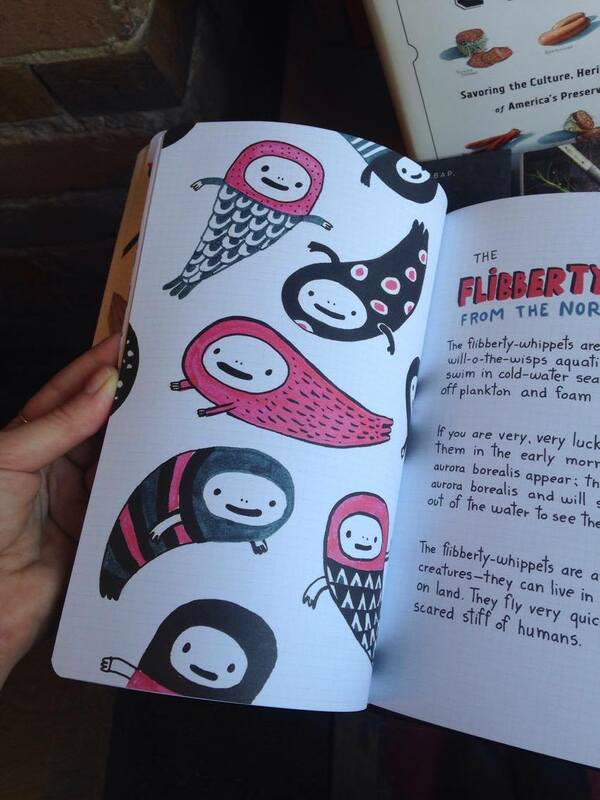 The wonderful notebook by renowned cartoonist Elise Gravel is finally out in English! 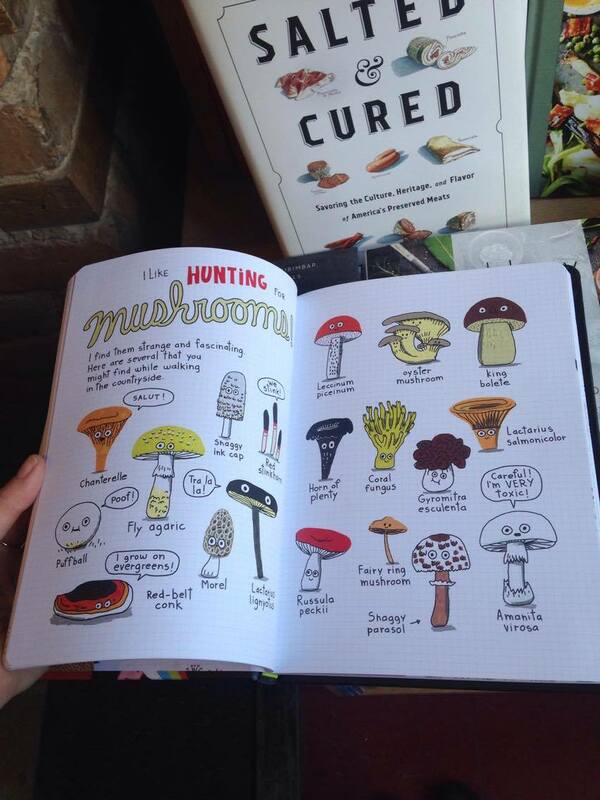 Featuring critters of all sizes and shapes, and yes -- some talking mushrooms with googly eyes! 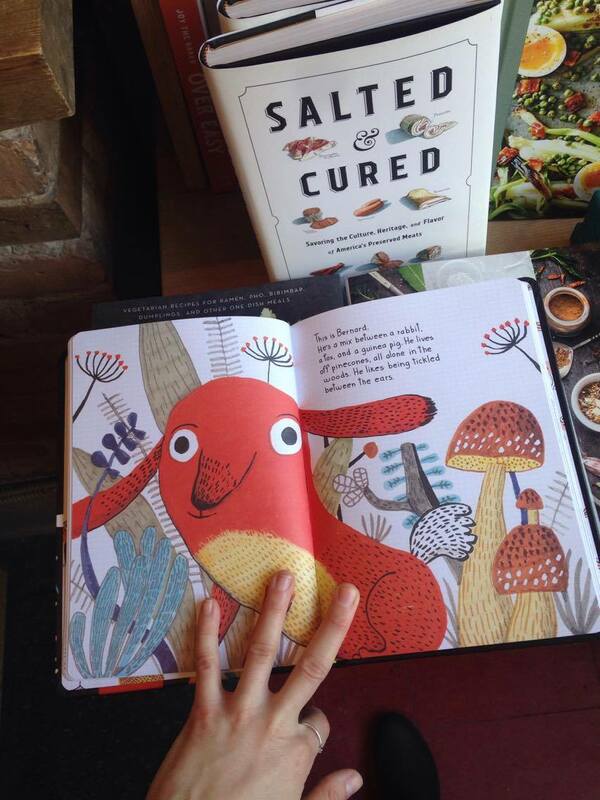 The books aims to fuel your creativity and nurture you inner child. 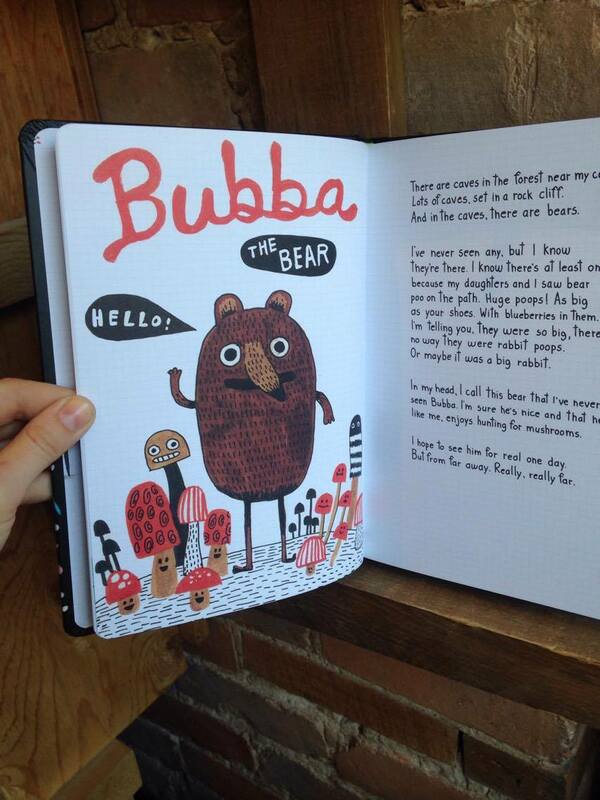 It's packed with cute, hilarious and unapologetic drawings (vampire hedgehogs, feet plants and a grumpy tomato)! At night, when everyone is asleep, Gravel draws freely in her black notebook. Most importantly, she gives herself the right to fail. 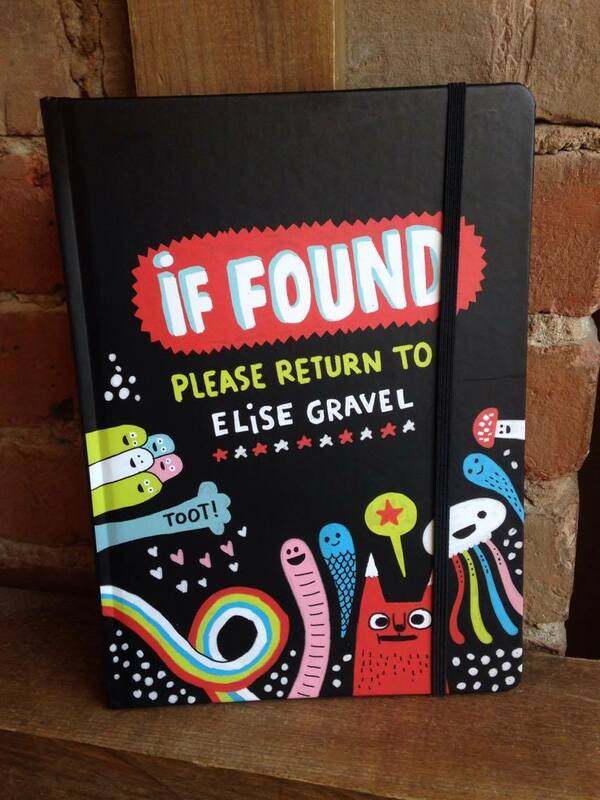 Groovy and unapologetic, Gravel's notebook is a chicken soup for all the perfectionists out there! It reminded me at times of Syllabus by Lynda Barry, emphasizing the importance of not criticizing yourself when drawing, but rather, try to go with the flow!